Pregnancy is a wonderful time to practice yoga, keeping your body healthy and your mind calm while deepening the bond with your growing baby. At Midwives and Mothers, we offer regular pregnancy yoga classes to help mothers on their journey of motherhood. A regular practice has proven benefits of reducing stress, increasing vitality, improving fitness and making the body both stronger and more flexible. Our pregnancy yoga classes offer a safe and supportive environment for mothers to explore posture, breathing exercises and mindfulness meditations that meet the changing needs of your changing body. 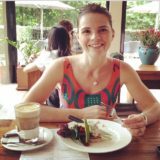 Our yoga teachers at Kensington, Grace and Louise are experienced teachers who have a deep understanding of both Yoga and of the many and varying pregnancy symptoms women may experience. They are passionate about supporting women on their journey through pregnancy and beyond. 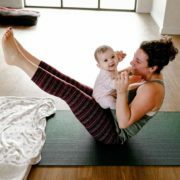 Mothers and Babies Yoga is a wonderful continuation of your pregnancy yoga practice, or a wonderful new addition to your early time with your baby. It is both fun and soothing. Focus is on rebuilding core and pelvic strength, relieving the aches commonly associated with early mothering, and sharing a nurturing practice with your baby. Wear something comfortable, bring a blanket/rug for your baby tolie on and any toys she is enjoying. Here at MAMA, we feel very strongly about supporting mothers and babies after birth, so drop in to a Mums and Bubs class to connect with other mothers and with a wide web of support. We offer a morning tea every Friday morning, so even if you don’t feel you want to join a class that day, you are welcome to come with your baby and chat with others. Are you wanting to try yoga in a comfortable, small class environment? Are you a parent with young children and want to get to a yoga class but have no idea what to do with your children? These classes are open to everyone – singles, mums, dads and the beauty of this class is that children are always welcome to come along. At MAMA, we understand family life, so we have created these classes that are child friendly. This class allows you to practice yoga while your kids play or practice yoga if they show interest. Places are limited so book in now for this 4 block course of yoga classes. For any questions, please contact our reception at 9376 7474 or admin@midwivesandmothers.com.au. We are so pleased to be now offering a 5-week Prenatal Yoga Course at MAMA Services in Hampton. This structured and intimate course will be held every Tuesday evening from 6.30-7.30pm (5th March – 2nd April). 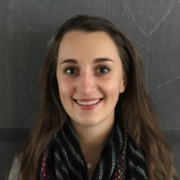 Our Hampton yoga teacher, Louise; a Registered Nurse, Registered Yoga Teacher & Doula will guide you through safe and effective movements for your pregnancy. You will learn more about your changing body and how to ease tension through asanas (postures), pranayama (breathing) and dyhana (meditation). Adding to this, you will learn effective strategies for labour and birth, connect with other pregnant women and connect with your growing baby. This course has a maximum of 4 spaces so bookings are essential, make sure to get your name down early! The cost is $120 for the 5-week course.